Team India has revealed the 12-man squad for the Adelaide Test against Australia. It’s a tradition that India has been following for a while of announcing the squad on the eve of matches. Now that Prithvi Shaw is not available due to the ankle injury he suffered in the practice match against Cricket Australia XI, Murali Vijay and KL Rahul will open the innings. Vijay had slammed a hundred in the practice match while Rahul had also scored a fifty. It’s a good news for the visitors having both the openers with runs behind them. Cheteshwar Pujara, the skipper Virat Kohli and Ajinkya Rahane will constitute the middle-order. 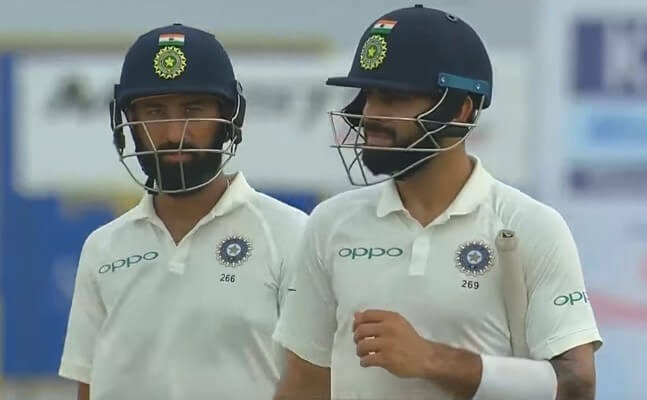 India has named both Rohit Sharma and Hanuma Vihari in the squad. With Rishabh Pant a certainty in the squad as the keeper, either of Rohit or Vihari will find a place in the XI. The 3 seamers will be Mohammed Shami, Ishant Sharma and Jasprit Bumrah. The trio was superb in the last 2 overseas tours of South Africa and England. They would be expected to deliver the goods once again. The experienced pacer Bhuvneshwar Kumar misses out. There was a debate about who the spinner in the line-up should be. While many backed Kuldeep Yadav for his mystery spin and vulnerability of the Australians against spin, India opted to go in with Ravichandran Ashwin. Ravindra Jadeja is also in the squad but he will find himself on the bench despite a good show in the Test series at home against Windies.